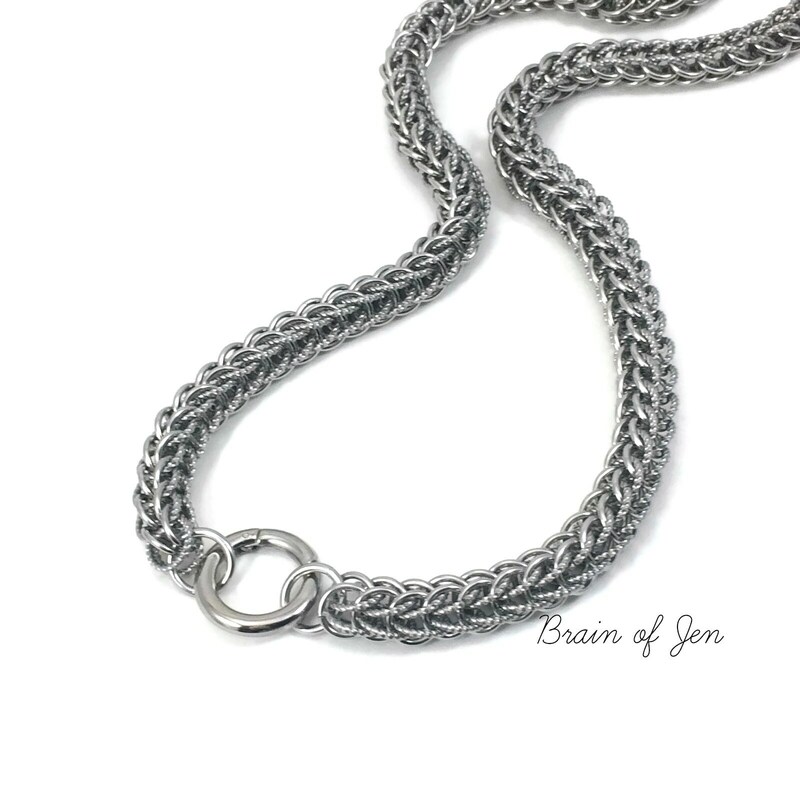 The chain is woven by hand, one ring at a time in the serpentine Full Persian chainmaille pattern, using high quality stainless steel rings in two different styles. 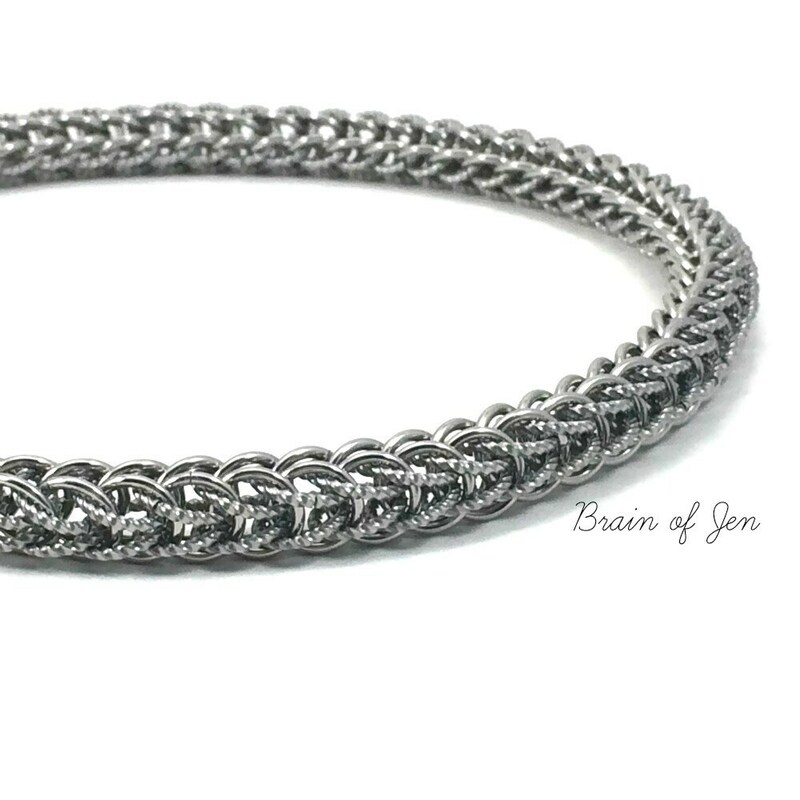 One set of steel rings have been tumbled and polished for a gorgeous shine. 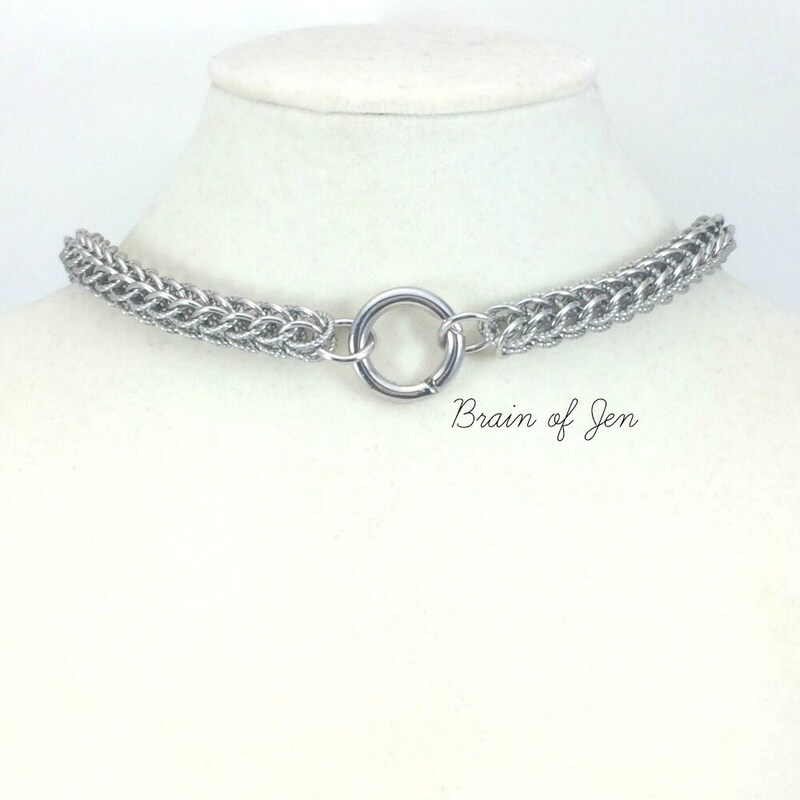 The other set of rings are twisted, giving the chain a unique shine and subtle contrast. 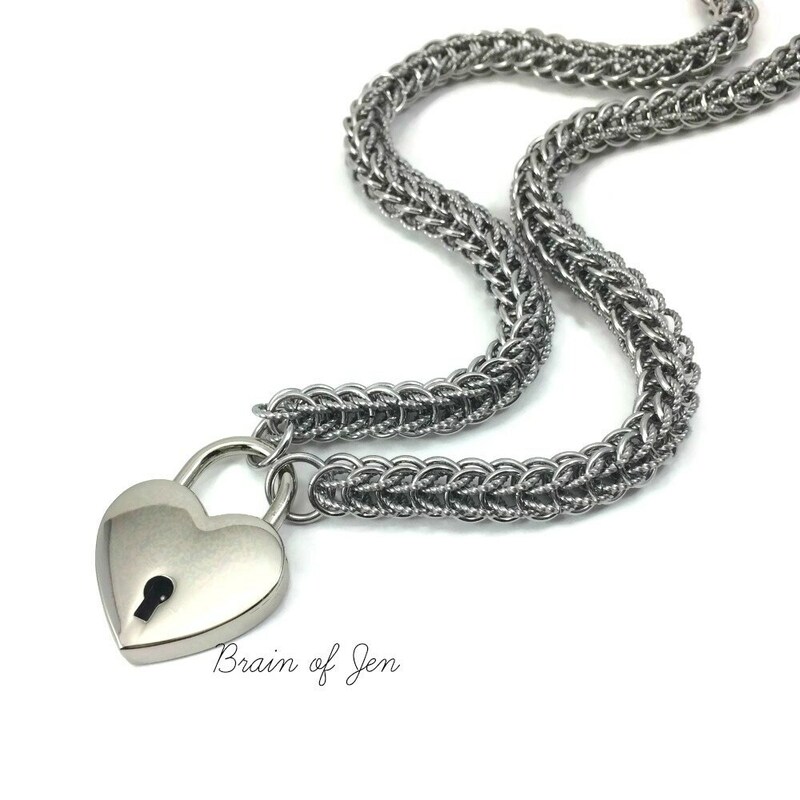 The chain is easy to maintain with just a little soap and water, so wearing it in the shower is perfectly fine. 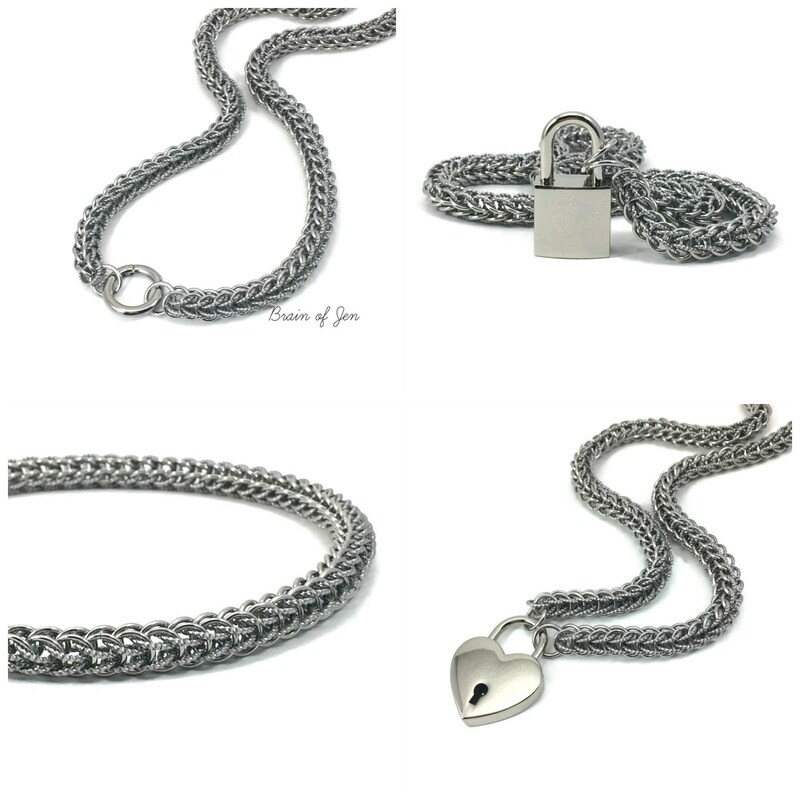 The collar closes with your choice of closure. 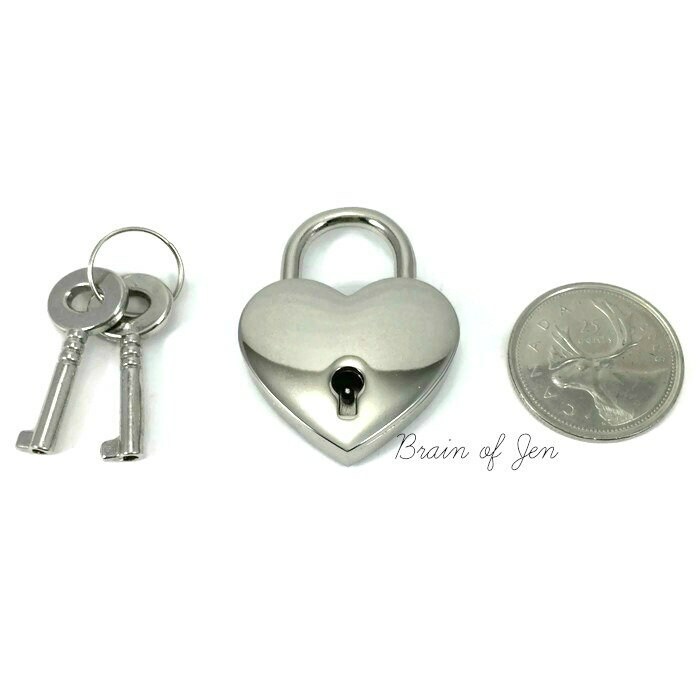 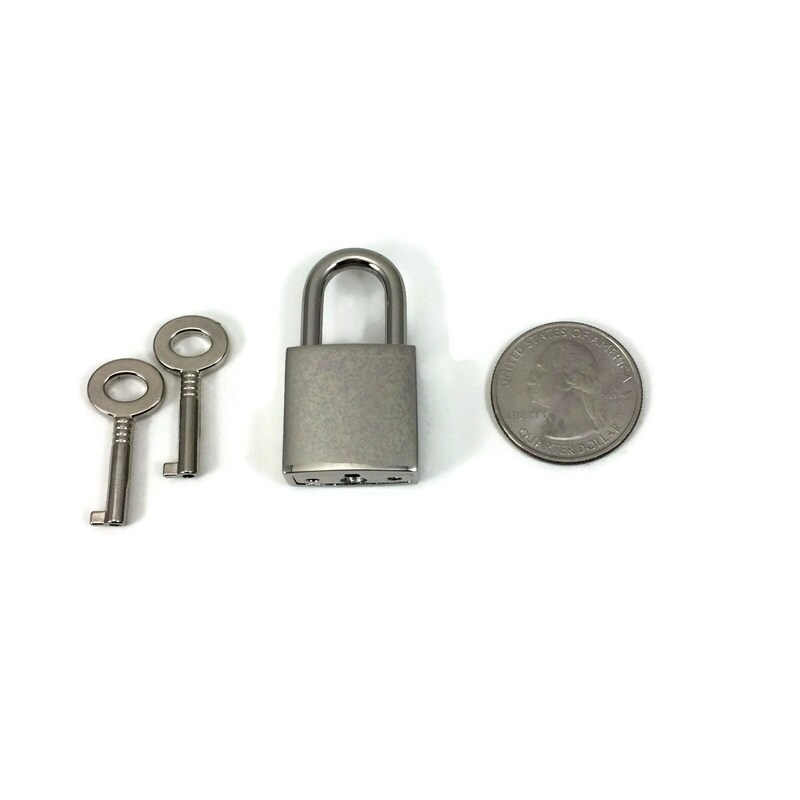 Choose from a 30 mm heart shaped padlock in nickel silver, a 20 mm square padlock in nickel silver, or a 20 mm O-ring style hinged clasp.